Historically, orthodox Christianity talks a lot about martyr vindication, and, even posits it correctly at the parousia of Christ. Unfortunately, the historical church has egregiously missed – or distorted – what the Jesus and the Bible writers, both Old and New Testament, had to say about the framework and the time of that vindication as it relates to the entire story of eschatology. In this short video on Jesus and Martyr Vindication, I discuss Jesus’ parable of the Wicked Vineyard keepers and the theme of martyr vindication. I show how what Jesus said in that parable saturates the entire story of eschatology. Take a look and be sure to share it. This is incredibly important stuff! 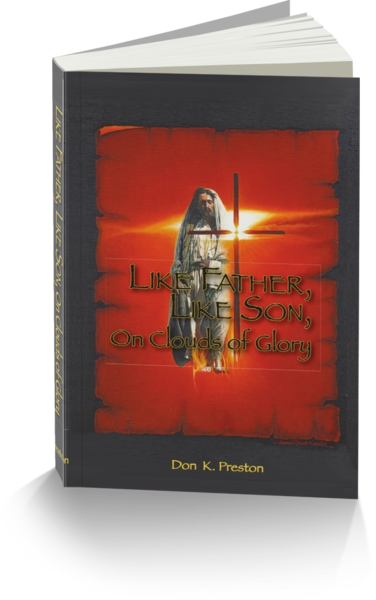 See my book, Like Father Like Son, On Clouds of Glory. I can assure you it will change the way you look at eschatology -and martyr vindication! For a challenging study of martyr vindication, you must have a copy of this book! Previous Previous post: The Temple in Jerusalem| One Greater! Next Next post: The Messianic Temple| Not Made With Hands!